SSC Result 2019 Bangladesh All Board SSC 2019. SSC 2019 started on 01st February 2019. That Routine 2019 already attached to my website source of Bangladesh Education board. Routine, we also attached to my website, Bangladesh education board official website www.educationboard.gov.bd. Many kinds of a source will be published SSC Exam Result 2019 such as www. edureultsbd.com, daily newspaper, electronic media and Every institution (only their own students) etc. This year a total of 20, 31,899 students from 28,551 educational institutions have appeared in this year’s SSC and equivalent examination from 3,412 centers across the country.. Examinations held by Eight general boards & two others boards Dakhil under Madrasa Board and SSC Vocational & DIBS under Technical Board. 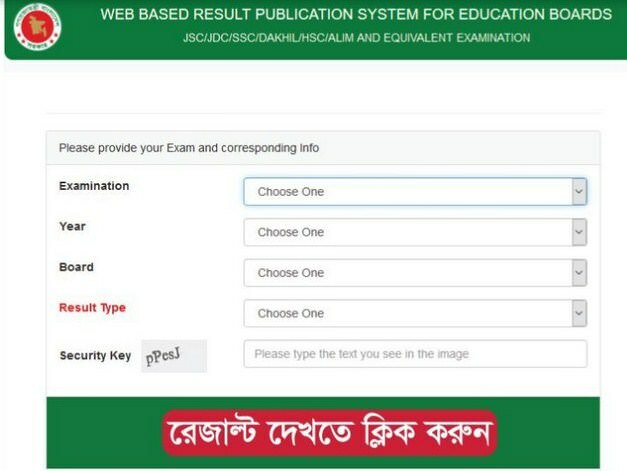 SSC Exam 2019 at first go to www.educationboardresults.gov.bd, 8 which is the official website of education board of Bangladesh. Then from the first category select Secondary School Certificate Exam and then from the next drop-down menu choose the year 2019. Now select your board (under which board the student appeared at SSC) and then type your SSC roll number and hit the Submit button. Eventually, you will get your result. Routine also depend on a good result of examining. A standard routine also helps them. I think this year routine is best than others years .others year examine face a critical time of politician party .last some years noticed that many kinds of politician party called stricken on the time of exam hold. We request every political party on behalf of students or all citizen of Bangladesh that when any examination on hold they stopped their stricken. Follow SSC Exam Suggestion guide or class teacher lecture. SSC Exam is important for all student’s life. this result depends on their future life. I think SSC time is few, so every student must be followed suggestion, I also advise them that at fast complete basic them of a textbook then follow the suggestion. I also advice for all of the students of SSC examine that you can not join question face. Every year I heard the news of question face. It is very hell news for local education or national education.SSC examination is one of the largest Exam of Bangladesh Education Board. So when a question was prepared for examination that is fixed person is worked with the question related to any matter such as ques fixed, ques prepared, ques building or any ques prepared related work. If ques is out before exam stared that is the time called joined the person who was worked with ques prepared related work. beside arrange punishment, Because SSC or SSC or any kind of National Board Exam was held is very important for the future world. when result related update needs advice you visit our website daily or Like our Facebook page. All of the candidates have come before 15 minutes of exam time in the exam hall. Applicants have to carry their admit card, registration card, pencil box with necessary materials, calculator etc. they can use a clear or transparent bag for carrying these, but not allow any obscure bag in the exam hall. Examine can’t carry mobile in the exam hall. If they want to carry it, then they have to keep their mobile switched off. Otherwise, they can be expelled. only authorized person use it. Candidates have to take their own seats that are planned before by examining authority. They cannot change their seat without examiners permission. They cannot fold the answer sheet or pares without margin. Candidates must fill-up roll number, registration number, exam code number and other correctly in the answer paper. And they must sign the attendance sheet in the exam hall. They must pass the theory, MCQ and practical exam separately. SSC Result and Routine 2019. At present above two way is very popular to know result. especially I refer to every student or their gradients that you want to know result follow online or website. I refer How to know the result by mobile phone. First three letter of Board name then write down roll number then Exam year and send to 1622. First time write down-* SSC> year> Board> roll number> Reg no> number lock>then click submit button. 10.Technical (vocational or open University) Board SSC Exam 2019. SSC Result and Routine 2019 Higher Secondary Certificate. you can see all education Board exam result 2098 from here for every department such as science, Arts, Commerce, and vocational or technical group. click here SSC Result 2019, SSC Routine, or SSC Suggestion submit. Dhaka Education Board is started its journey on 7th May 1921. It is one of the large public educations board in Bangladesh. Its SSC Exam Result 2019 will be published may be 6th May 2019. Its SSC Exam Result 2019 you can get on my site. SSC Exam 2019 with full mark sheet will be found on this site-eresultsbd.com. SSC Exam Result 2019 Board of Intermediate and Secondary Education Board Dhaka also published here. SSC Exam Result 2019 also published on the official website of Dhaka Education Board. Its SSC Exam Result will be published here on 6th May 2019 most probably. Dhaka Board will also publish SSC Exam Result 2019 on their official Android App like Others Board official Android App. If you want to download the App then you have to go to Google Play Store and Type: Dhaka Board. Then install the app to check your Dhaka board SSC Exam Result 2019 through the Android app. If you want Dhaka Board SSC Result 2019 Click Here. Chittagong Education Board is the second largest education board in Bangladesh. Its SSC Exam Result 2019 will be published may be 6th May 2019. SSC Exam Result 2019 also found on my site. This board will be published all school under the Chittagong education board their official site. Sametime the whole school of Chittagong education board they have also published their own site and also my website-eresultsbd.com. This board SSC Result will be published on 6th May 2019. It is the best and second largest education board in our country(Bangladesh). Maybe SSC Exam Result 2019 will be published at the same time as all over Bangladesh. If you want to know about SSC Exam Result 2019, you visit on eresultsbd.com. When will be published then you collect results from my site and if you can also visit the education board Bangladesh Govt website. Chittagong education board will be also published SSC Exam Result 2019 on their official Android App like others board official Android App. If you want to download the App then you have to go to Google Play Store and Type: Chittagong Board. Then install the app to check your Chittagong board SSC Exam Result 2019 through an Android app. Jessore education board SSC Exam Result 2019 will be published the same date of others board and referred date is on 6th May 2019. Its board under all school in same time publish SSC result 2019 on their official site. Its education board is an old education board in Bangladesh. Board of Intermediate and Secondary Education (BISE), Jessore, Bangladesh was started their journey in 2006. This Education Board is a very popular education board in our country. All public result is very important for all education board. Bangladesh education board are divided into eight-part and additional two vocational and Technical board. Every board is responsible for providing an accurate result. This board SSC Exam Result 2019 with full mark sheet has been published the same day when results published but the mark sheet is available after at 5 pm. If you want to get your result then check on educationboard.gov.bd or Jessore board SSC result for individual Roll number. If you want to download SSC result 2019 you will be the available result here on 6th May 2019. Comilla education board SSC Result 2019 will be published on 6th May 2019. This Education board will be also published SSC Exam Result 2019 through SMS method. SMS system will be worked after the result published officially. Get result by Mobile: This education board will be published SSC Exam Result 2019 through SMS. This system will be working after the result published officially. SMS result checking system is given below: SSC <space> COM (1st Three Letters of Comilla Education Board Name) <space> Your Roll Number <space> 2019 and send to 16222 from any mobile operator in Bangladesh. Get result by Android App: They also publish SSC Result 2019 on their official Android App like other Android App. If you want to get the App, you have to go to Google Play Store and Type: Comilla Board. Then install the app to check your Comilla board SSC Exam Result 2019 through the Android app. Sylhet education board SSC Examination result 2019 will be published on 6th May 2019. This education board will be also published SSC result in 2019 through the SMS system. This system will be acted after the result published officially. This education board SSC Result is increased. than previous year result. As a result of this board reputation also increase day by day. This board examinee student is so sort than others board. Because the board area is also reduced than others. Get result by Mobile: SMS result checking system is given below: SSC <space> SYL (1st Three Letters of Sylhet Education Board Name) <space> Your Roll Number <space> 2019 and send to 16222 from any Number. Get result by Android App: They also publish SSC Result 2019 on their official Android App like other Android App. If you want to get the App, you have to go to Google Play Store and Type: Sylhet Board. Then install the app to check your Sylhet board SSC Exam Result 2019 through the Android app. Barisal education board SSC Results are found here. Barisal education board SSC result 2019 will be published 6th May 2019. Barisal Education board SSC Result will be also published SSC Result through SMS system. This method will be working after the result announced officially in Bangladesh education board. From the SSC Result 2019 notice published by Barisal Education board SSC result, we have noticed that Barisal board will be published SSC 2019 on 6th May at 2:00 PM. So the SMS system will be working after 2:00 pm. SMS result checking system is given below: SSC <space> BAR (1st Three Letters of Barisal Education Board Name) <space> Your Roll Number <space> 2019 and send to 16222 from any Number. Barisal education board will also publish SSC Result 2019 on its official Android App like Dhaka Board official Android App. If you want to download the App then you have to go to Google Play Store and Type: Barisal Board. Then install the app to check your Barisal board SSC 2019 through the Android app. Dinajpur Education Board SSC will be published 6th May 2019. So you can visit Dinajpur education board to collect SSC. Dinajpur Education board will be also published SSC in 2019 through SMS method. This method will be working after the result announced officially. From the SSC notice published by Dinajpur Education board, we have noticed that Dinajpur board will be published SSC on 6th May at 2 PM. Dinajpur Education board will be also published SSC 2019 through SMS method. This method will be working after the result announced officially. From the SSC Result notice published by Dinajpur Education board, we have noticed that Dinajpur board will be published SSC result on 6th May at 2 PM. So the SMS method will be working after that time. SMS result checking method is given below: SSC <space> DIN (1st Three Letters of Dinajpur Education Board Name) <space> Your Roll Number <space> 2019 and send to 16222 from any Number. Dinajpur education board will also publish SSC 2019 on its official Android App like Dhaka Board official Android App. If you want to download the App then you have to go to Google Play Store and Type: Dinajpur Board. Then install the app to check your Dinajpur board SSC 2019 through the Android app. Dakhil Result 2019 bmeb.gov.bd may be published 6th May 2019. Dakhil exam means SSC Exam Bangladesh Madrasah Education Board said Dakhil Examinations Dakhil exam conducted by Bangladesh Madrasah Education Board. Bangladesh Education Board is conducted by Junior Dakhil Exam, Dakhil Exam, Alim Exam related all performance take care. Dakhil Result 2019 bmeb.gov.bd will be found on my website. Dakhil exam means SSC Exam Bangladesh Madrasah Education Board said Dakhil Examinations Dakhil exam conducted by Bangladesh Madrasah Education Board. The whole of Bangladesh Dakhil exam and SSC exam held on 1st February 2019 continue up to 25th February 2019 are to be declared by Madrasah Education Board Bangladesh. SSC Result educationboard.gov.bd this result is very important of all SSC Candidate because this result marks added higher education admission purpose so SSC result is very important for all candidates. This year, a total of 20, 31,899 examinees from 3,412 educational exam center across the country. This year a total of 9,742 candidates were absent on the first day of Bangla 1st paper exam of Secondary School Certificate (SSC). The education year 2018-19 class nine registrations are about more than 24, 75, 845 but the rest of the day SSC candidate is absenting 3.7 lakh. Day by day this station is a very important problem in the education sector of Bangladesh. Eight education boards, one madrasa education board, and one technical education board are conducting the month-long SSC, Dakhil and SSC vocational examinations for 2019. Dakhil Result 2019 published 6th May 2019. Dakhil Result 2019 will be published on 6th May 2019. Many students are now anxious about their result after giving Dakhil 2019. SSC Means Secondary School certificate is equivalent to Dakhil. This year Dakhil or SSC exam 2018 was held on 1st February 2019 continue up to 25th February 2019 and the Vocational examinations are conducted by Bangladesh Technical Education Board. SSC Vocational Result 2019 published within a very short time may be this result published 6th May 2019. This result published Bangladesh Technical Education Board own education board, eight education board and also my website result published. So you can get your result this site available at that time. Dakhil Result 2019 has published on their official website. we have attached the result on my site. Thank you for choosing our website for knowing SSC. Dakhil Result 2019 will be published only on the official website for all education board. Bangladesh Madrasha Education Board official website www.bmeb.gov.bd. Dakhil Result 2019 bmeb.gov.bd- SSC Vocational Result – SSC Result all result published here. Dakhil Result 2019 is said to be published on 6th May 2019. bmeb.gov.bd SSC VOC candidate Eighty to hundred marks A+ Grate (80-100), Seventy to seventy-nine marks A Grate (70-79), Sixty to sixty-nine marks A- (60-69), B grade marks 50-59, C Grate marks 40-49, D Grate marks 33-39 and F Grate marks 0-32 there are same system and mark Dakhil, General SSC and madrasa SSC result 2019. Dakhil bmeb.gov.bd will be found on my website. Dakhil Result 2019 bmeb.gov.bd may be published 6th May 2019. Dakhil exam means SSC Exam Bangladesh Madrasah Education Board said Dakhil Examinations Dakhil exam conducted by Bangladesh Madrasah Education Board. SSC Vocational Result 2019 bteb.gov.bd will be found on my website. The Vocational examinations are conducted by the Bangladesh Technical Education Board. Vocational means technical education. The present situation of Bangladesh Vocational education is very helpful for our practical life. So everybody should follow up Vocational Education purpose. Technical Education Board is follow up SSC Vocational Result and Dakhil Exam. 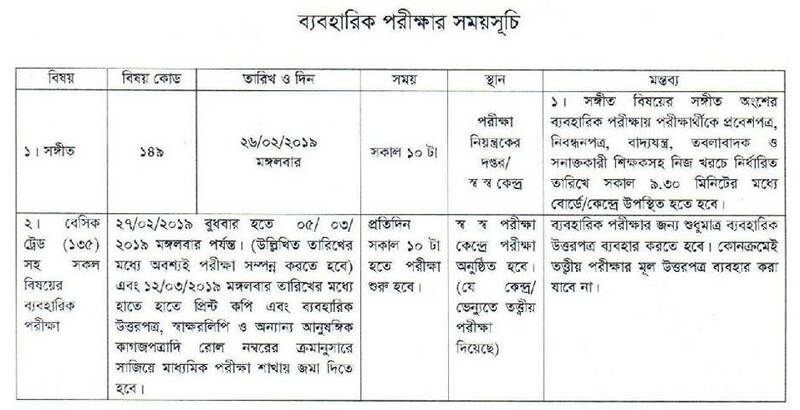 SSC Vocational bteb.gov.bd will be found on my website. The Vocational examinations are conducted by the Bangladesh Technical Education Board. Vocational means technical education. The present situation of Bangladesh Vocational education is very helpful for our practical life. So everybody should follow up Vocational Education purpose. SSC Vocational routine already published the Bangladesh Technical Education Board Dear SSC vocational exam candidates! Hope you are going well with your studies SSC vocational examination for session 2019-20. Thank for choosing our site for the found result. The SSC Vocational exam was started from …….to….. and practical date will be attached here when authority Published date. SSC and Dakhil examination was also be started from 1st February along with SSC Vocational Exam. The practical examination will start soon after the end of the written examination so, you stay us for the next information about Exam result. SSC Vocational 2019 published very soon so all time to eye contains this site. When SSC Vocational 2019 published then you will get this site. Dhaka board with the other eight education board is responsible for holding general SSC exam and Madrasha Education board for general Dakhil exam. This above exam was held 1st February 2019 and continued up to 25th February 2019 at a time throughout Bangladesh education board. SSC Vocational 2019 will be published on 6th May 2019. I have come to you with good news and congratulate. That is for your better preparation for the examination Bangladesh Technical Education Board has published SSC Vocational Exam date 2019. It also gives scholarships. To the meritorious student. Based on the results. Education Board SSC Result 2019 Publish on 02:00 PM. In short, we suggest you follow someone. Or both online procedures. Alternatively, you can test. And use the official mobile SMS format of Sylhet Board. From the SSC 2019 Education Board results. In the environment. Firstly, Send the message to 16222. The correct option is to send a message. After that officially publish results. Secondly, SMS charge 2.44 BDT (with all taxes). Dakhil Result 2019 publish on Madrasah Education Board on same day of SSC Result. Under The Madrasah Education ordinance. Which made by the president of the people’s republic of Bangladesh. On the 27th of February, 1978. As soon as may be after the commencement of this ordinance. The Government shall notification by the Ministry of Law. And Parliamentary affair on 2nd March 1987. It established a board. Finally, It called Bangladesh Madrasah Education Board. In Last year(2018), Total 7,92,097 male and 8,32,326 female candidates Appeared on SSC Examination under 8th general education board. Pass rate was 77.77%. Check below a chart of last year SSC. Students and guardians will be able to download their respect and test results for results of the SSC Result 2019 results. In this year, …. students are participating in the second year exam. When the results of the 2019 of SSC will be published in 2019? SSC Exam will be published in May 2019. If any SSC candidates not satisfied or achieved good result then you can check your answer sheet recheck or Rescrutiny process. Maybe SSC Rescrutiny process will be starting 7th May 2019 and continue up to 13th May 2019. If you want to know about the SSC Rescrutiny process then you visit my site and get all the information about rescrutiny process. Thanks for, stay with us.